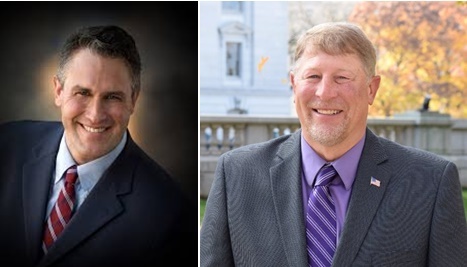 On December 29, Governor Walker announced the appointments of Frank Lasee and Keith Ripp to serve within his administration. The move leaves both a State Senate and State Assembly seat open for the remainder of the 2017-18 legislative session. Walker appointed Lasee to administrator for the Department of Workforce Development’s Worker’s Compensation Division. Lasee previously represented the De Pere area in the State Legislature for over two decades. He was first elected to the State Assembly in 1994 before becoming a state senator in 2010. In his new role, Lasee will oversee and ensure the proper administration of the state’s Worker’s Compensation program, which is considered one of the most effective and cost-efficient worker’s compensation programs in the nation. Ripp will serve as the assistant deputy secretary at the Department of Agriculture, Trade, and Consumer Protection. The position is the third highest at the department. Ripp also served in the State Legislature as the representative for the 42nd Assembly District since 2008. He was considered for the top job at the department before Walker appointed Sheila Harsdorf to serve as secretary in November. Given the legislative calendar and time left until the November 2018 general election, state law does not require Walker to call special elections to fill the vacant legislative seats. Both positions will be filled at the regularly scheduled general election this year. All 99 Assembly seats and 17 of the 33 Senate seats are up for election this year.